Trivandrum Sports Hub has won rave reviews after hosting a rain-drenched Twenty20 International (T20I) between India and New Zealand last month. 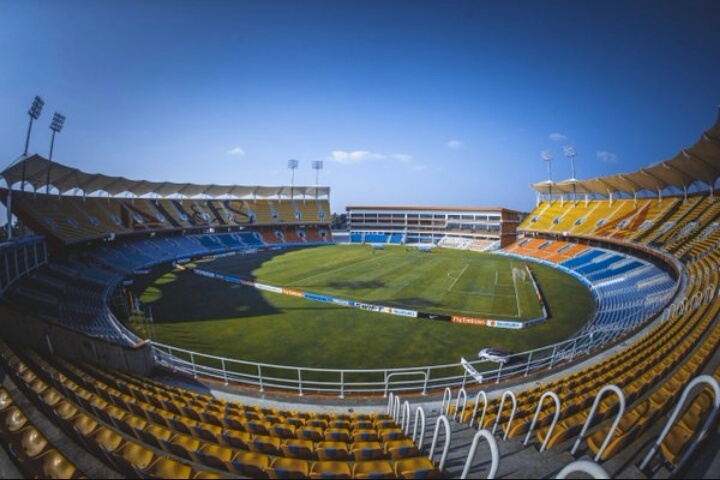 If reports are true, Trivandrum will be the host of the upcoming IPL 2018 match. With Delhi’s smog causing problems during the ongoing third cricket Test against Sri Lanka, Delhi Daredevils home matches in next year`s Indian Premier League (IPL) may be shifted to Trivandrum Sports Hub. Kerala Cricket Association (KCA) secretary Jayesh George said that the issue could be discussed during the special general body meeting of the Board of Control for Cricket in India (BCCI) scheduled for December 11. “We, the KCA would only be glad to host the matches here, as we have proved our mettle in organising an international T20 match and that too in a brand new stadium. We will put up our hands if this option is there if any team asks for our support,” George said while speaking to IANS. Trivandrum Sports Hub hosts state of the art technologies that allow draining the field within 15 minutes. It was raining heavily when Twenty20 International (T20I) between India and New Zealand took place here last month. Despite unfavourable conditions, the stadium was able to host the match. The facilities at the stadium earned lavish praise from media persons and players, especially from Indian skipper Virat Kohli. Moreover, it was a sell out crowd as well. Thus the Delhi Daredevils team might not have to think twice about the revenue aspect as well.